Once again, Chris Brown is in the spotlight. The star is facing allegations that he had put his daughter at risk. Brown is father to a two years old girl. Well, the famous singer denied the allegations and claimed that none of the claims made against him was true. 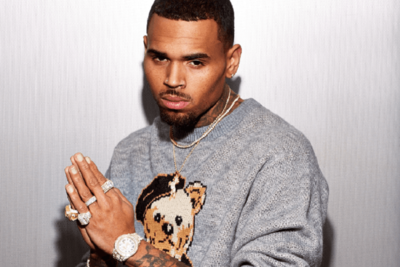 Brown’s reaction comes after several media outlets have claimed that the singer was multiple times visited by child protection services, which have also inspected his home. The allegations were not shocking at all, as Brown is widely known for his problems with the law. The star was actually arrested last month, after being accused of threatening with a gun an ex-beauty queen who attended one of the parties he was hosting. After the arrest, the Daily News reported that a social worker from the Department of Children and Family Services paid a visit to Brown’s house. At that time it had not been revealed the exact reason why the social worker was planning this visit and what he wanted to discuss with Brown. However, media reported that the call to child services might have been made by the mother of Brown’s child or by the ex-beauty queen who accused him of threatening her. So, Brown responded to the claims in an Instagram video, which he apparently has deleted since. “I take care of my daughter fully. Somebody make an accusation, 90 percent of y’all believe it, and it’s bulls—t,” the singer claimed in his statement. “The last three weeks or whatever been going on with the accusations, you know it’s false,” he went on to add. The famous singer went on to say that he is a good father. “I take great pride in being a father. I love my daughter,” he claimed in the same video. “All these allegations are bull—t, stop lying bro,” he concluded. Chris Brown and the mother of his daughter share the custody of Royalty. Brown has the legal right to spend 12 days a month with Royalty. A lawyer for Brown claimed that the baby girl was not present during the alleged incident. Previous ArticleBen Affleck and Jennifer Garner Spend Night TogetherNext ArticleEva Mendes and Ryan Gosling Already Married?